Just two days ago we boarded a plane from Auckland to beautiful Fiji (yes, still beautiful even though it’s been raining pretty consistently), where we boarded our Feejee Experience bus and began the trip of a lifetime. 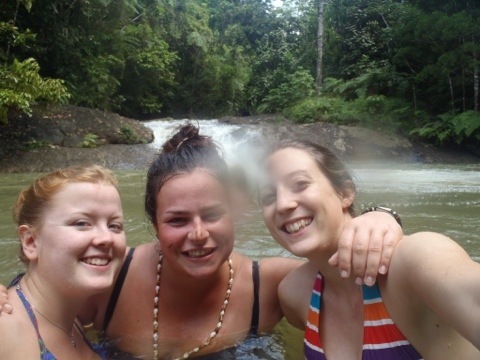 So far we’ve been to a couple of beaches, done some sand boarding, stayed at a few lush resorts, trekked through the jungle to a waterfall and even floated down a river at top speeds. So much fun…and there’s much more to come!